How Much Caffeine Is in Diet Sunkist? Does Diet Green Tea Have Caffeine? Diet green tea is a popular substitute for high-calorie, low-nutrition soft drinks, especially if you are trying to lose weight. If you are concerned about your overall caffeine intake, be aware that green tea does contain a significant amount of the drug. 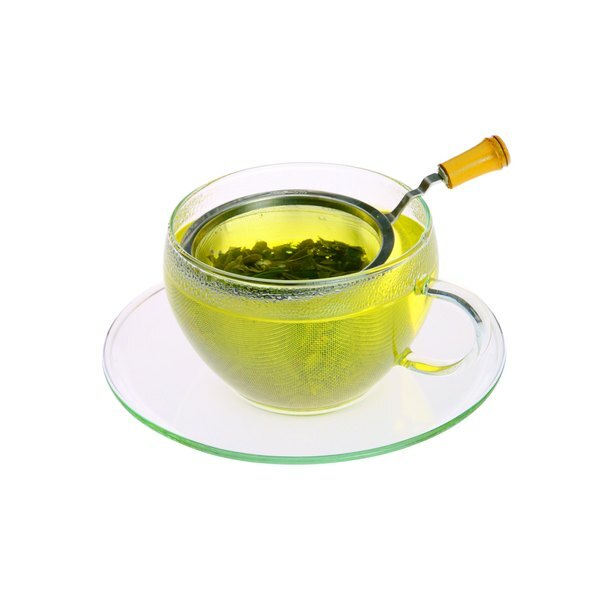 Drinking diet green tea late in the day may interfere with your ability to sleep. Caffeine is a stimulant that affects the central nervous system, giving a feeling of alertness. According to guidelines published by the South Dakota Department of Health, 300mg per day is a moderate amount for most adults. Consuming too much caffeine can cause headache, stomachache, jittery feelings and insomnia. It can also increase your blood pressure. Some people, especially those who are not used to consuming caffeine, are more sensitive to its effects. According to Katherine Zeratsky, registered dietitian at the Mayo Clinic, studies on the effects of caffeine on weight loss have been inconclusive. Some researchers have theorized that it acts as an appetite suppressant or speeds up the metabolism. Others suggest that caffeine's diuretic effects cause you to lose water weight. While the specific effects of caffeine on weight loss are not fully understood, it is unlikely to hamper your ability to lose weight. Green tea is made from the same plant, Camellia sinesis, as black tea. The major difference is in the processing. Black tea is fermented before drying. Green tea is not. According to guidelines published by the University of Maryland Medical Center, green tea may be helpful in preventing and controlling a variety of diseases, including some cancers, heart disease, Crohn's disease and diabetes. Every brand of diet green tea is slightly different. Lipton Diet Green Tea With Citrus contains 12mg of caffeine per 8 oz. serving. Snapple Diet Green Tea contains 14mg of caffeine per 8 oz. serving. Most diet green teas are sold in 20 oz. single-serving bottles, but they list nutrition information for 8 oz. servings. Unless you will divide a 20 oz. bottle into 2.5 servings, you will have to do some math to figure out how much caffeine is in your beverage. A 20 oz. bottle of green tea that lists 14mg of caffeine per serving contains 50mg of caffeine. Mayo Clinic: Does Caffeine Increase Weight Loss? Does a Low Sugar Diet Make You Lose Weight Fast?